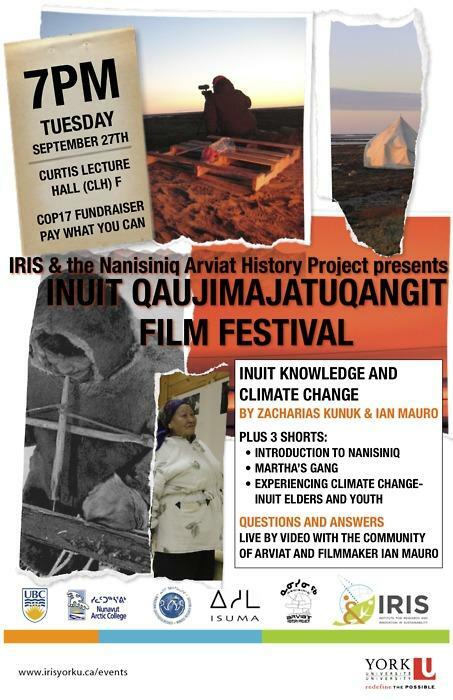 Inuit Knowledge & Climate Change, a new film and internet research project by Inuit filmmaker Zacharias Kunuk and environmental researcher Dr. Ian Mauro, has been invited by the United Nations to screen at COP-15, the international climate change negotiations being held in Copenhagen December 7-17. 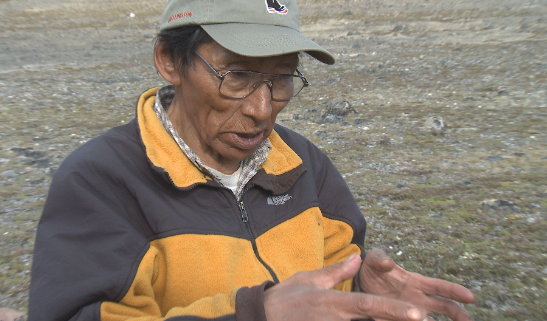 A 15-minute trailer of Kunuk and Mauro's work-in-progress will be presented in the U.N.'s film festival, "Indigenous People and Climate Change," at the National Museum of Denmark. 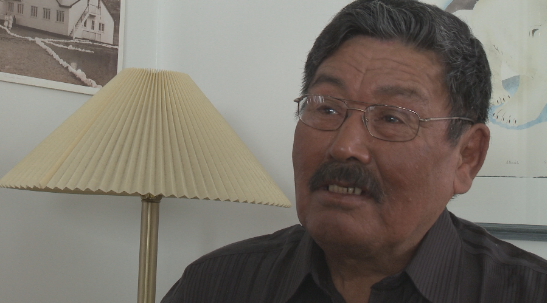 "It's important the Inuit point of view on climate change is heard by the international community in Copenhagen," says Kunuk, creator of Atanarjuat The Fast Runner and one of Canada's most respected filmmakers. 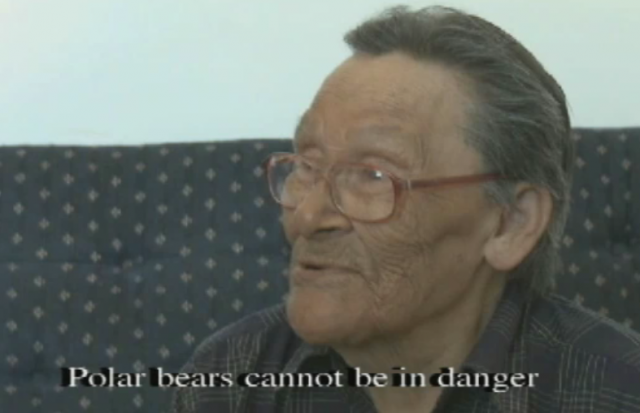 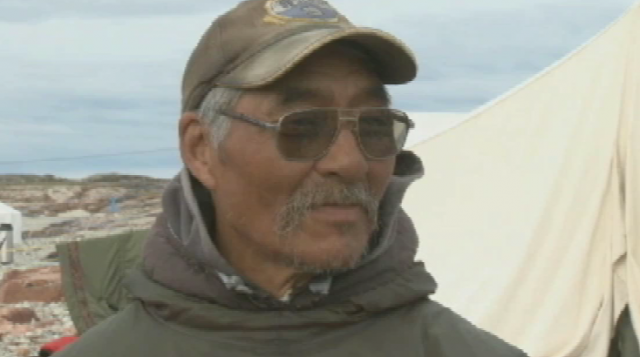 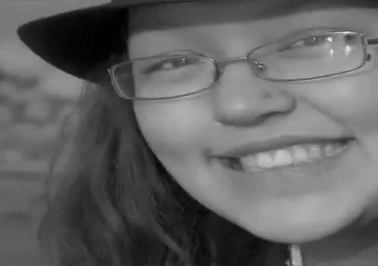 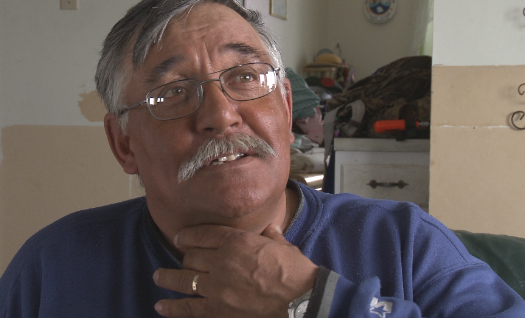 "Our project offers the voices of Inuit elders, hunters, women and youth to the world." Kunuk, Mauro and their film crew have traveled to Nunavut communities of Pangnirtung, Iqaluit, Resolute Bay and Igloolik speaking with Inuit about thinning sea ice, melting glaciers, changing animal patterns and climate change impacts on human health and communities. 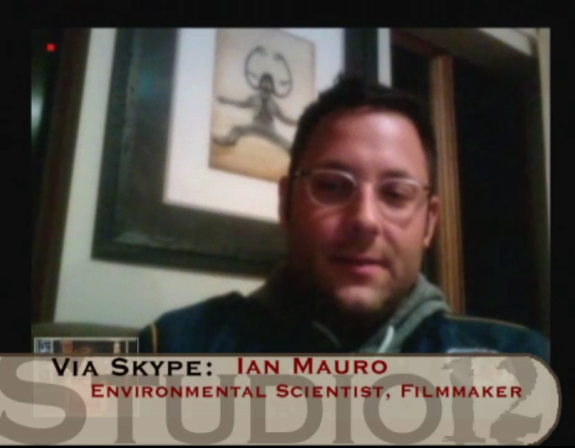 "Inuit are climate change experts," says Mauro, an environmental and social scientist based at the University of Victoria. 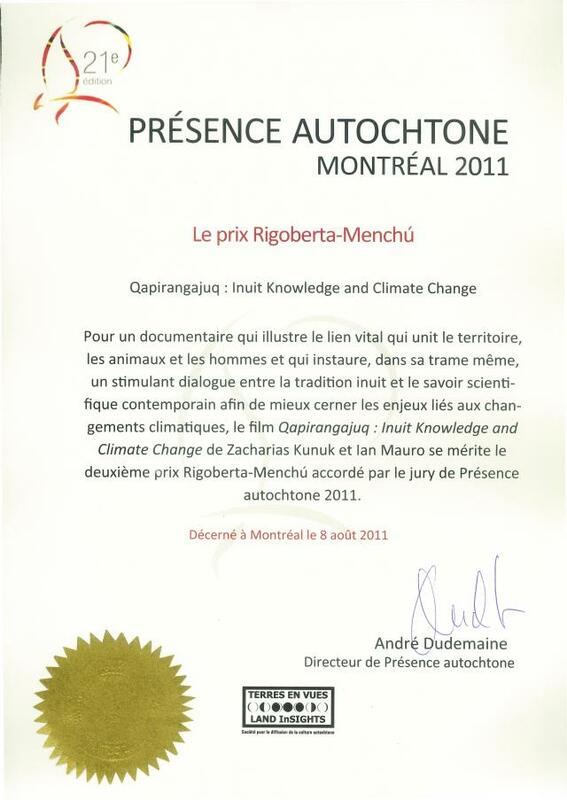 "Their knowledge of the environment is very rich. 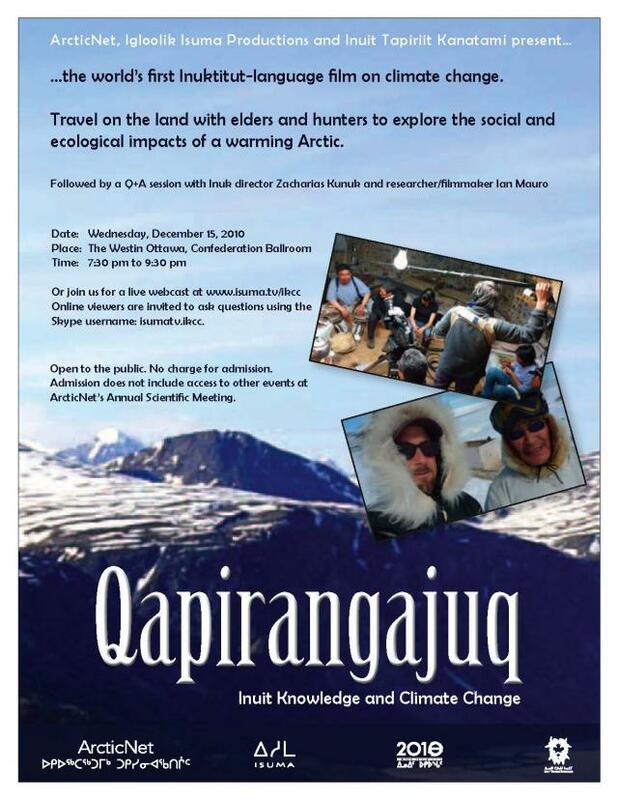 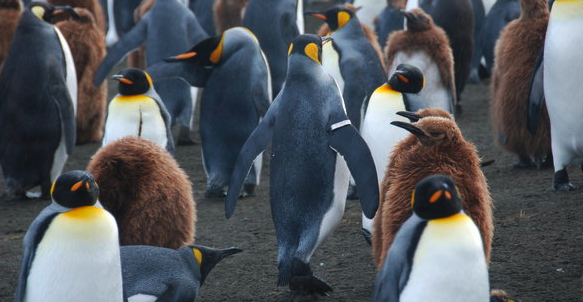 For over 4000 years they have weathered past climate changes and have a lot to teach the world about human adaptation." 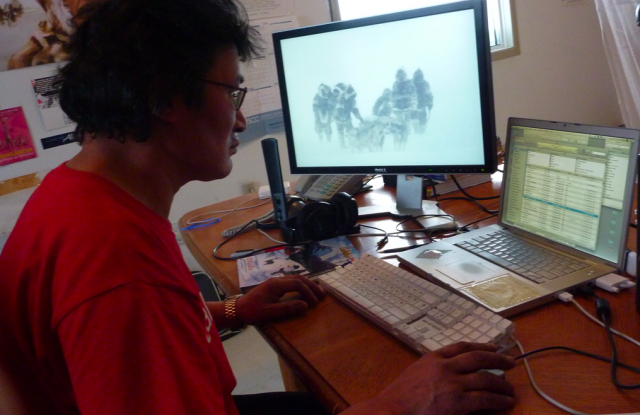 Inuit Knowledge & Climate Change uses the internet to bring Inuit into this urgent global discussion, while offering a worldwide audience the opportunity to understand and engage with Inuit knowledge directly online. 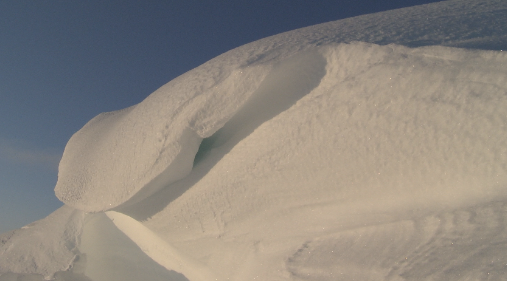 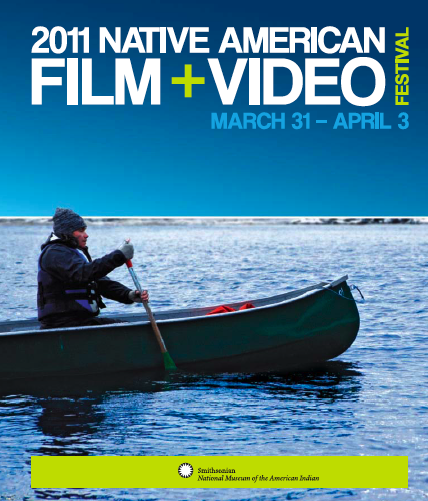 Inuit Knowledge & Climate Change will be released as a feature-length film by Igloolik Isuma Productions later in 2010.